Men's BBQ this Monday night, July 9th @ 6:30 p.m. on the Church at Del Aire campus put on by Oceanside Christian Fellowship's Men’s ministry. The BBQ is free for the men who will attend. Come out for food and a word from the scripture with Pastor Chris. Additionally, they are going to spend some time praying over our pastors. OCF is an A29 church in a neighboring community that has committed to walk with us, assist us, encourage us, and help us reach our community. We’d love it if you came out! If you plan on attending please email us. Pastor Jefferson and I are meeting twice a month with Dr. William Thurmond and Pastor Jeff Ludington for accountability, encouragement, direction, and conversation working our way through necessary merger essentials. We need a continued covering of prayer together over the whole process. We believe our steps to merge are the best means we have to reaching into our city and seeing a redemptive, multicultural work established in a divided, fragmented city. Pray for flexibility and humility on both of our parts as we submit ourselves to our networks in the process, and as we are praying for a "new thing" (Is. 43:18-19) to be established and emerge out of this season of prayer, fasting, and commitment to unity (John 17:20-23). From our first days in our home, we were infertile, trying to get pregnant. I remember sanding the floors praying for children; the same floors that now resound with the beautiful music of little feet. Those little feet that have taken first steps, and now dance, and run all over the cherry hardwood. Every square foot of that home for me was a gift of love to my wife, and future children as I put my hands on it to make something ordered out of the broken, and disordered. I believe this mandate comes from the garden, to do things well, work hard on your home, and build your house emotionally, spiritually, and physically. For my wife and I God indeed called us to ‘build the house as if they (children) are there.’ Who knew that after seven years of marriage, and infertility, the LORD would bless us with three little gifts that would fill life with joy, noise, and time well wasted. Every moment with them is a gift, and most of those significant moments have happened in that little house on Stanleaf. 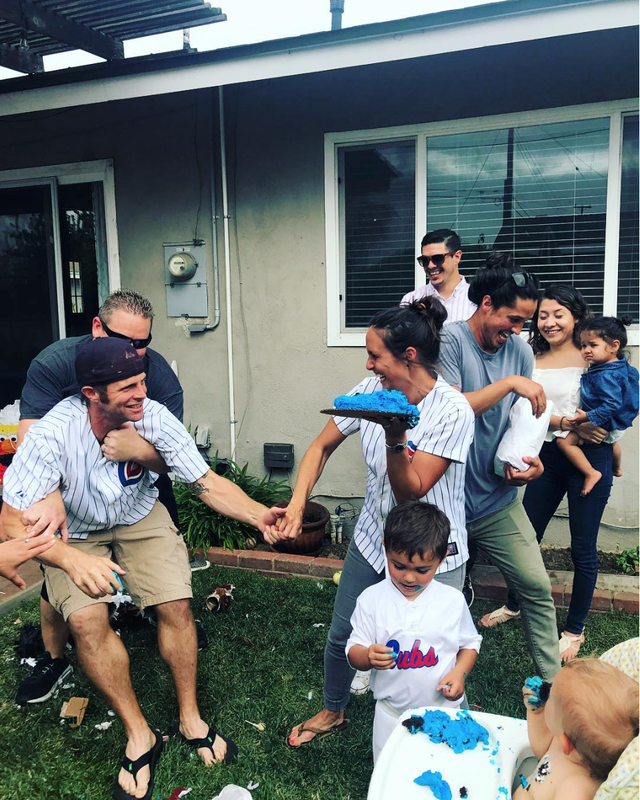 We have built a life worth losing in La Mirada, and shifting our lives to the South Bay has brought both of us a sense of loss for our home that has hosted marriage after marriage, guest after guest, fellowship time after fellowship time, birthday parties, and hundreds upon hundreds of people. It’s had the thumbprint of kingdom and King all over it. This being said, we know that God has called us to transition, and have already seen the doors open in evangelistic conversations with neighbors in our new neighborhood and into the neighborhood we will temporarily be staying in. We believe the LORD has called us to transition, and to the communities we will be staying in for the next season of life. We also can’t wait to host and be hospitable in our new neighborhood and community as this is how the LORD has carried out mission in our lives. Many of the people who make up our church have been invited into our living room for relationship first. This is the way for many people to find connection to the Church in So Cal. We can’t wait to get our household in order, and begin to host again; as depth of relationship and Missional Community is the calling of the church, and something we are persuaded we need to be doing on a regular basis with our home. We’ve already met some of our new neighbors and are really excited to begin building relationships in the place the LORD has called us to. Apologetics Seminars (4 part): Cliff Hulling from Biola presented the ‘Authority and Reliability of the Bible’ last Tuesday night, and will continue with his apologetics seminar on July 31st, the last Tuesday of the month for the next three months. This is essential training for any Christian who wants to bolster their faith, and be encouraged unto evangelism and conversations with those who don’t know Jesus. Next month will be focused upon the historicity of the resurrection of Jesus. Men's Fishing trip July 26th: Cost is $80 per dude. Let us know if you’d like to go and can’t afford it. This trip is a fundraiser for Fishers of Men West Coast to continue to put shoes on the feet of at risk children, and impoverished families. Contact us for more information or to sign up! The grocery outreach has continued to be one of the most missional things we do as we continue to add unto our church the poor families from our community. We’d love it if you joined us for one of these opportunities as we pray over people in the community, and take care of their groceries for a couple weeks. This is a great opportunity to see somewhere around 100 families fed every two weeks. Every sunday at 8:30 a.m. in the Fireside room, we are gathering to pray over our city, community, and church. We will be continuing our Monday night prayer and fellowship times beginning again July 16th and 30th @ 6 p.m. - 9 p.m. (dinner and prayer). Please email us for the address. On July 30th we will have a special prayer service for the Muslim community around us in Hawthorne, and I have invited a special guest to share with us that evening from Voice of the Refugees; who will be doing a short training and introduction for us on bridge building with Muslims. Here are some things we have highlighted in our prayer focus through the summer: One of our wise young women pointed out to us that the challenges that the LORD is drawing us into the challenges that people are facing in our community, that we might embrace the cross, and find empathy for the people we are seeking to reach. Pray for people: I could give you a list of names right now that I’m praying for, but Instead I’ll just call us to prayer over people. Jesus lived and died for the glory of God, and the salvation of people. Please pray for more and more God appointments with people that lead unto salvation (2 Cor. 4:4-6), and flourishing for people. Hope in Depression: for the squeezing anxiety that is trying to survive in Hawthorne/South Bay/LA, the correlative response for many is a low level hopelessness that effects all of life. Upward mobility is a bit of a myth in our community for those on the Hawthorne block; and the response is a sense of survivalist-hopelessness that has a caustic effect on people. We are praying that our Church would revive hope with the gospel of Jesus Christ, and that we would be a place where people have hope renewed, because hope leaks. Male leadership in marriages, and in homes. What is clear from our church demographics, and from the community is the breakdown of the home, and of masculine leadership. We are praying for more and more men to accept responsibility, own their headship and leadership role, and lead redemptively as sacrificial leaders in homes, marriages, church and the community. We are praying for redemption, and help for single moms (there are so many in our community) We are also praying for creative ministries that minister to single moms. For affordable housing for our people in the stress and clenches of gentrification in our city: our people have a sense of transience and displacement; if they could get into affordable ownership scenarios, this would give a sense of permanence. Poverty is a reality in our area, as roughly 1/4 of the people we serve would find themselves under the poverty line. Refugee families to find their home in our church, as they are loved by our people. City Council: we are praying for each of our council people, and we are praying for great relationships and partnerships with them in city renewal and flourishing. For homes in the area as ‘places’ where God has opened doors for community, and mission. Additional ‘places’ where doors are open for the sharing of the gospel. Artists, and culture creators in our area (including social entrepreneurships and kingdom seekers) to begin to find their home in our church, and partnership with us for a great city. People in the sports and film industry: that they would be drawn to use their influence for the glory of God and renewal of our city. Jobs in our city for our people, and job places to be places of mission for our people. Latino/Latina Leadership in our community, and church community: We are praying for a gifted group of people to team up with us to reach Hawthorne bilingually. The high school and the youth: The cultivation of our young life connection, and the flourishing of the Christian community on the Hawthorne High School, Wiseburn, and Leuzinger High School campuses. We are praying for the development of a JH/HS ministry in the next six months of the year. We are praying for the Muslim community; that bridges would be built to present the love of Issa (Jesus) to muslims. The harvest is plentiful, but the laborers are few (Lk. 10:1-2). We are praying for sacrificial laborers to join us through out the area who are committed to the vision here. A spirit of trust and not cynicism in our church/praying against a spirit of distrust amongst peoples coming from very different worlds coming together. Removal of stumbling blocks in our midst for the lost. What are the barriers that are in our traditions, preconceived notions, and habits that we are treasuring more than the salvation of the lost? We want to identify those and remove them. Provision for the mission, and for the next season in the life of the church. As we prepare for 2019, we are praying for the ability to somehow be self sustaining in 3-5 years as a church. this is admittedly extremely difficult in our urban context. Please pray for provision for the mission.